One bedroom, sofa beds in lounge/dining areas, kitchen, shower unit/toilet. Shower unit with toilet and hand basin. Heated towel rail. By way of £1 or £2 coin meter. With sofa bed, TV/DVD, coffee table. In both lounge and dining areas. With patio table and chairs. Very peaceful and a lovely place to stay.. Thanks for lovely review - much appreciated - glad you enjoyed your stay. Stayed at the cabin for a weekend break, had a bit of a tough year and lost my mam recently, so wanted some quiet time out. We stopped off at the supermarket on the way and bought what was needed. 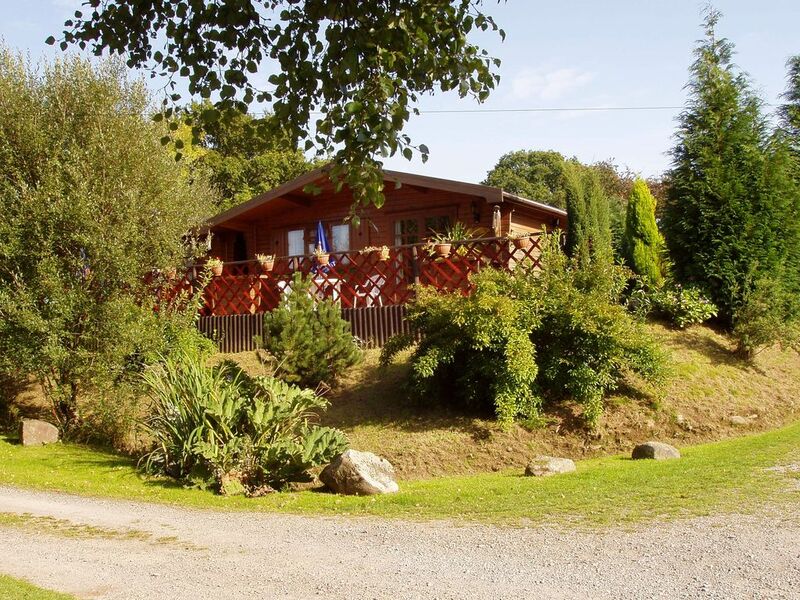 Rita was warm and friendly on arrival and told us all the information needed and then left us to enjoy the cabin, it is fully equipped with everything thats needed.fab. Really peaceful, lovely countryside and accurate to the description in the add. We were greeted by Rita when we arrived who showed us around and told us everything we needed to know. The lodge was fully equipped with everything we needed and it even came with a tourist information folder with lots of useful leaflets and pamphlets of things to do in the area, walks, cycling routes, local shops, attractions etc. We used this for our walks! It was lovely having the duck pond right outside and nice to see they were so happy! The only negative thing I would say is that there were quite a few cobwebs in the lodge, something I'm sure can be easily dealt with. Other than that it was a great place, would definitely recommend to anyone looking for a short getaway to the countryside. Thanks Gabriela for lovely review - glad you enjoyed your stay. Had to do a quick change over due to Christmas week being fully booked and again over New Year - so apologies for cobwebs. Rita.